Did you know that almost half of visitors to Australia from the United Kingdom are visiting friends and family? And did you know that on those trips, tourists from the UK will frequently visit more than one state during their time in Australia? The reason for this? Well for starters there is just so much to see and do in the sixth largest country on the planet. Secondly, once you have made that 24 hour flight, you'll probably want to experience as much of Australia as you can. The Mindil beach markets have been a favourite destination for tourists in Darwin for many years. On a Thursday and a Sunday, tourists and locals descend upon Mindil Beach with local and international cuisine being the primary attraction. 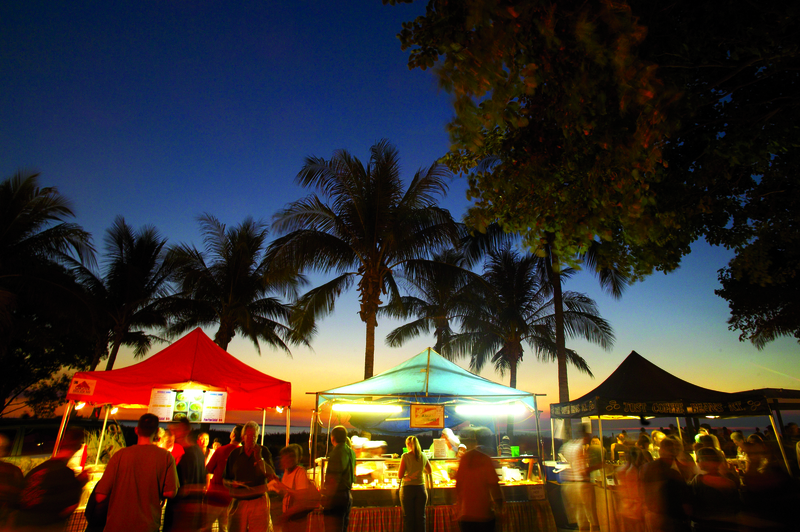 Food from all over Asia, South America and Europe can be purchased from the various stalls that adorn the beach front. Upbeat live music accompanies you at most of the stalls and sets the mood with sounds from an amplified, native didgeridoo. The real attraction of Mindil beach? The spectacular sunset and the tapestry of colours that adorn the sky whilst the hustle and bustle of this Northern Territory must see event, stirs in the background. Possibly the most iconic sight when thinking of Australia is Uluru in the Northern Territory. I have seen this natural wonder on one occasion previously and it truly is a humbling experience. Certainly an obvious choice for this list but why not experience Uluru in an entirely different way? Helicopter tours can take you around the rock and the surrounding areas for under £100 or see Uluru at sunset and enjoy a BBQ and relax under the stars with a Kata Tjuta & Uluru Sunset Tour. 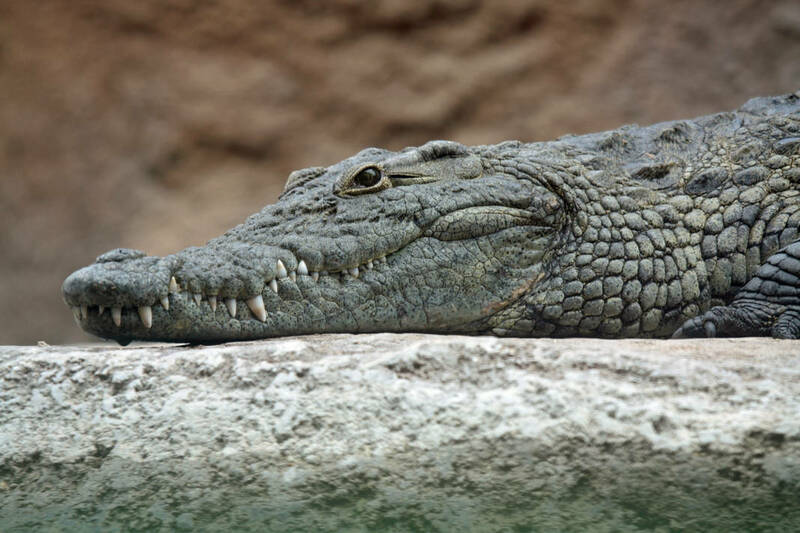 OK, so whilst a crocodile sanctuary may not be everyone's idea of a fun day out, there is no denying that the Crocodile is a truly remarkable creature. I cannot think of any other species on the earth today that could go back 200 million years, mingle with dinosaurs and not look a bit out of place. So to have the opportunity to jump in a cage and watch these fearsome aquatic reptiles in action is an experience not to be missed. For more information, visit the Crocosaurus Cove website. In the centre of Australia is one of the most famous Australian outback towns, Alice Springs. It is the gateway to Uluru and the Kata Tjuta National Park. In the heart of Australia's Red Centre, Alice Springs 20,000 inhabitants protect and nurture the true spirit of the Australian outback and a visit to this naturally beautiful region, in the heart of the Northern Territory, is a must. 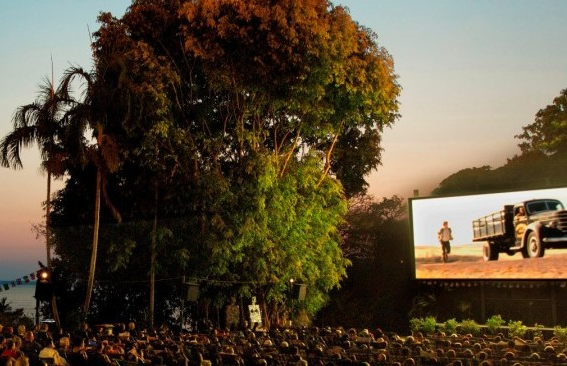 Last on our list of top tourist experiences within the Northern Territory is the iconic Deckchair Cinema in the heart of Darwin. Situated right by the sea, the outdoor cinema offers customers the chance to take in the sunset over the water whilst watching the latest movies on a large outdoor screen. Enjoy a meal and a drink before your movie begins and relax under the stars with this unique cinema experience. 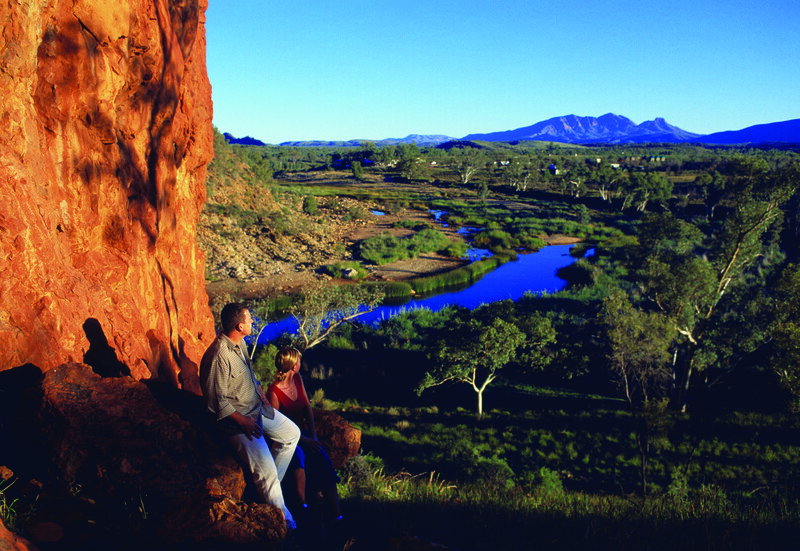 If you think that Darwin and the Northern Territory could be the perfect experience for your next trip to Australia, then head over to our Northern Territory promotion page - which runs until the 30th June 2014 - to get a great deal on a trip Down Under. If you want to find other discounts and special offers then head over to our Australian travel discounts page.